... creating a better future for thousands of children. We promise that every penny will go directly into our projects! 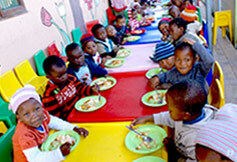 Auntie is a ‘non-profit’ organization, working with the Childcare Sector in the UK and Ireland, that invests in projects in South African ‘townships’ to improve the lives of the most vulnerable young children living in extreme poverty and danger - helping to create self-sufficiency via the provision of sustainable ‘pre-school’ childcare. We work exclusively with a key ‘non-profit’ partner in South Africa – Ikamva Labantu (www.ikamva.org.za) - a very well established and respected organization through whom the projects that we support are implemented. 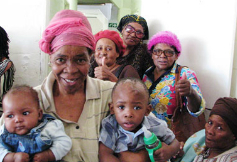 ‘Ikamva’ have been established in the Western Province of South Africa since 1964, helping hundreds of thousands of people in need through a network of hundreds of ‘pre-schools’, ‘Seniors Centres’, foster homes for HIV/Aids orphans and vulnerable children, and health centres. The efficient and effective use of money donated to Auntie is important to us. It’s a privilege to receive donations and we take our responsibility to make every penny go as far as possible very seriously. We don’t spend any money on administration or marketing, and we don’t employ anyone (we rely on volunteers). 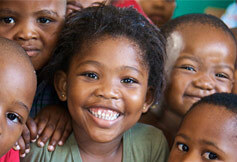 That means that we can pledge to invest every penny donated directly into the projects that we support in South Africa.